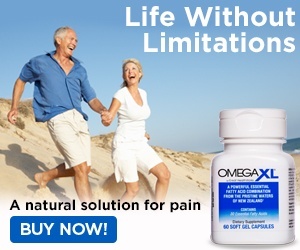 Omega XL is a powerful, safe and easy to swallow, omega-3 joint health supplement formulated with a patented complex of 30 healthy fatty acids, including DHA and EPA, that have been demonstrated in over 30 years of clinical research to relieve joint pain due to inflammation and inflammatory conditions†. OmegaXL®, with its patented lipid extract, PCSO-524®, is derived from green lipped mussels (Perna canaliculus), a species that is grown and harvested only in the pristine waters of New Zealand, recognized as the cleanest waters on Earth. OmegaXL® is marketed exclusively by Great HealthWorks, a company dedicated to distributing quality health and wellness products and innovative services directly to consumers. † These statements have not been evaluated with the U.S. Food & Drug Administration (FDA). OmegaXL is not intended to diagnose, treat, cure or prevent any disease. I get cramps in my legs all the time. When I started taking OmegaXL, the cramps lessened. OmegaXL has helped me in other ways. I also appreciate the size of the OmegaXL capsules, which are much easier to swallow. Josephine H.
OmegaXL helped the stiffness in my legs and my back muscles. I also had stiffness in the back of my neck. 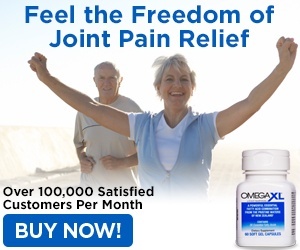 OmegaXL has helped decrease the stiffness. The muscles in my back are more relaxed and my legs are less stiff. Judy B.
I have joint pains all over my body. I cannot say enough good things about OmegaXL. OmegaXL helped me walk and move much easier. I am swimming three times a week. I can also climb steps and do everything else much easier. Jeannette C.